Sure, the game rock-paper-scissors has been around for millennia, but that doesn’t mean it couldn’t be improved upon. Candy brand Skittles decided to sweeten the proceedings and raise the stakes while driving sales and encouraging engagement among teens and young adults. And so the Rock Paper Skittles National Championship was born. In the original game, scissors “cut,” or trump, paper; paper “wraps around” rock, and rock “smashes” scissors. In the Skittles version, a Strawberry Skittle “peels” an Orange Skittle, which in turn “squeezes” a Lemon Skittle, and so on. So far, so cute. But the brand integrated digital technology into the game as well. Visitors to the Skittles website could enter into duels with other consumers. The players would each hold up a Skittles candy in front of their webcams; the site’s “Skittles Recognition Technology” would distinguish between the two flavors and pick the winner. Those without a webcam or (gasp) a pack of Skittles could still play by selecting flavors on the site itself. The grand prize was $50,000 and a Skittles champion belt, which came with a Skittles dispenser, of course. 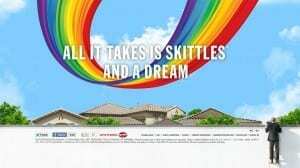 Skittles promoted the contest using social and banner ads, social posts, and displays in convenience stores; no traditional mass media were used to raise awareness. 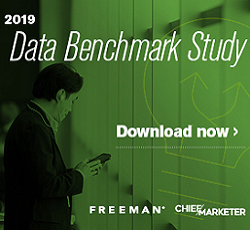 Nonetheless, during the three-month campaign, more than 3.5 million consumers visited the online game, exceeding goal by nearly 300%, and more than 1.5 million users entered the sweepstakes. The average entrant played the game nearly 40 times, apparently working up an appetite while doing so: Sales of Skittles nationwide rose 2.5%. American Express OPEN - Gold REI - Gold Samsung Mobile USA - Gold Pepsi Co.